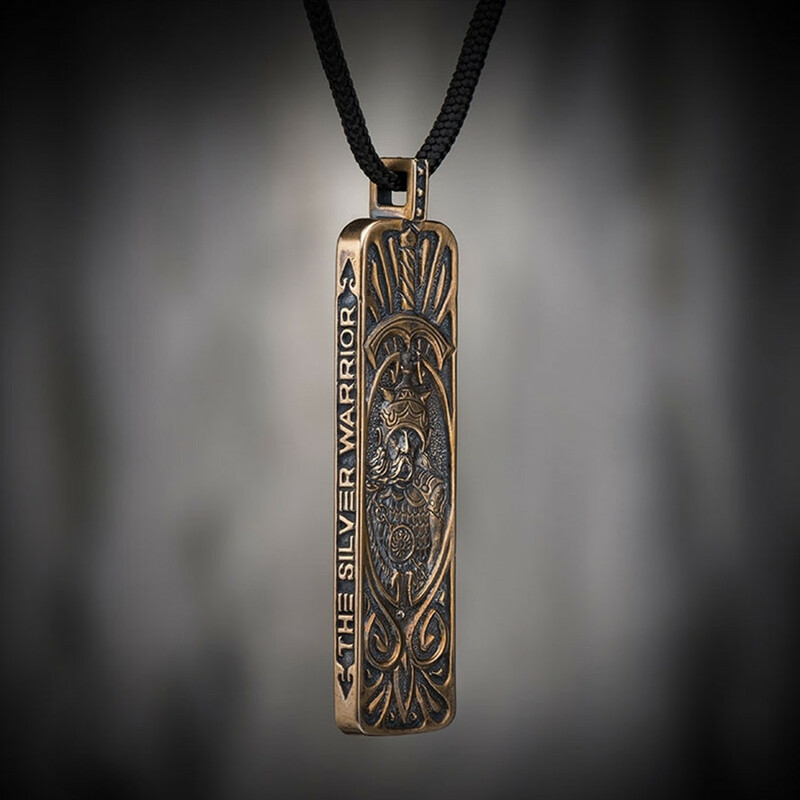 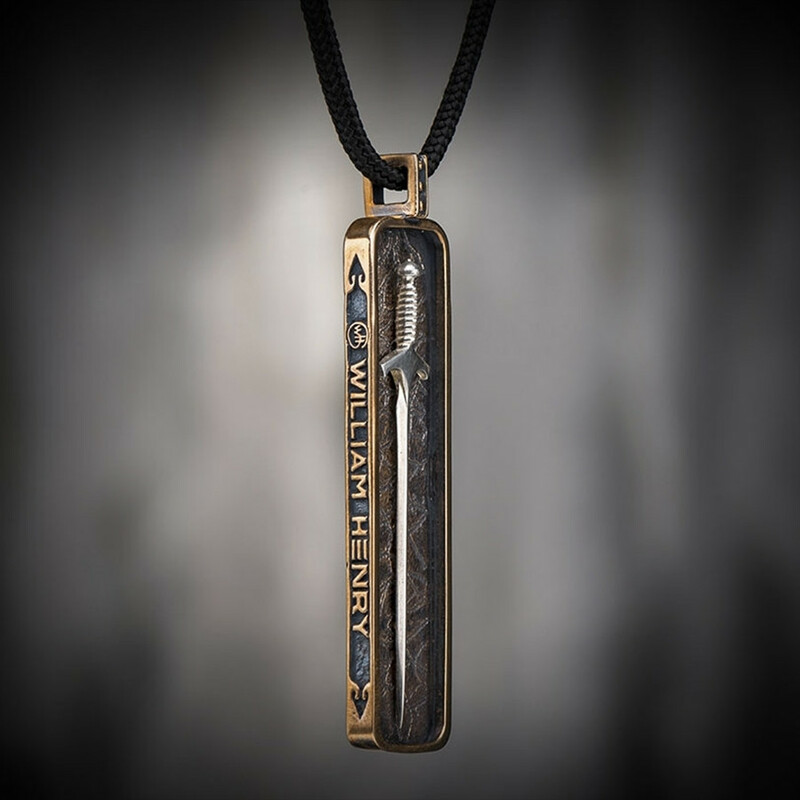 For the man with the spirit of a warrior, William Henry offers this necklace from its SIlver Warrior collection. 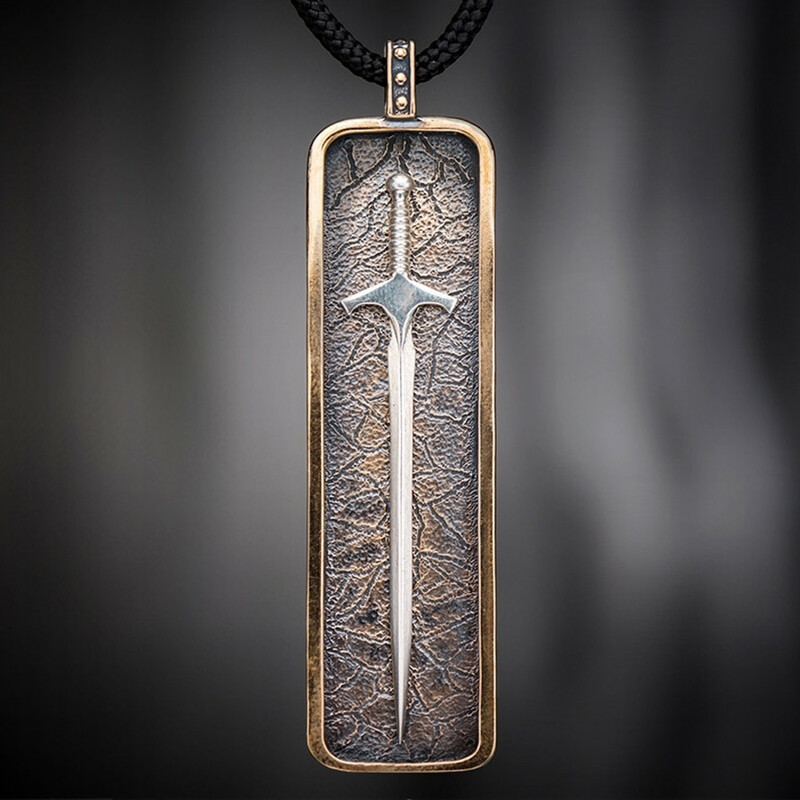 Dubbed the Defender, a beautiful pendant, rendered in sterling silver, has a textured background and bronze frame. 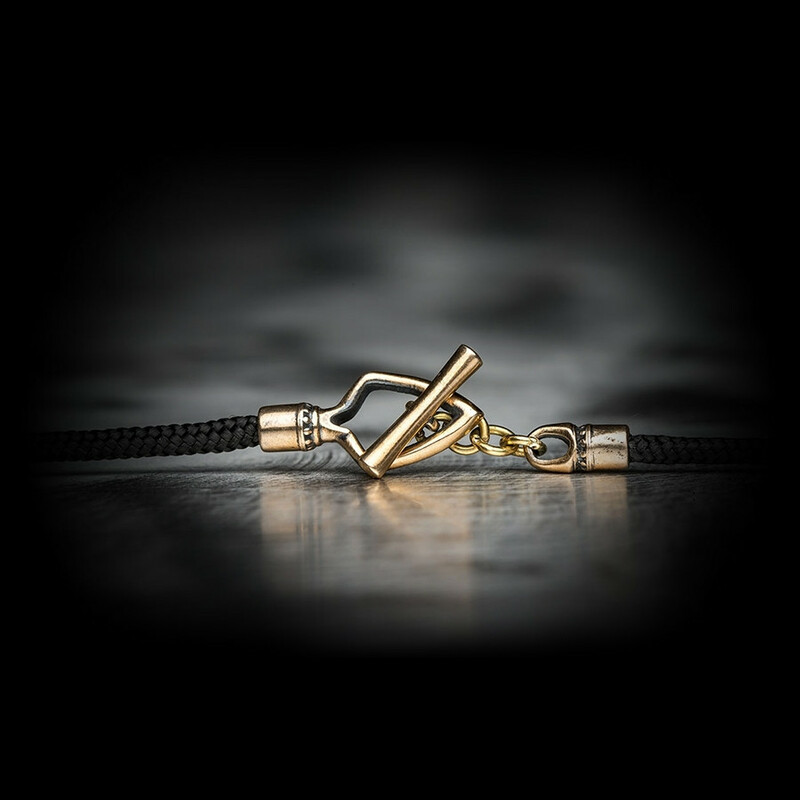 A bronze bail features three beads against a darkened background. 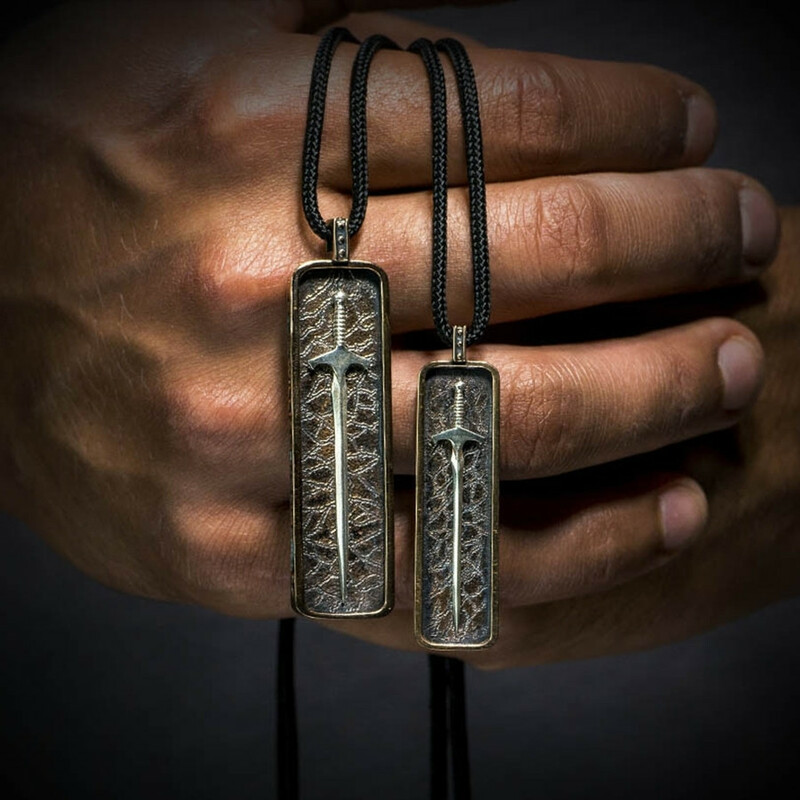 The masculine piece hangs on a durable paracord that measures 20" in length. 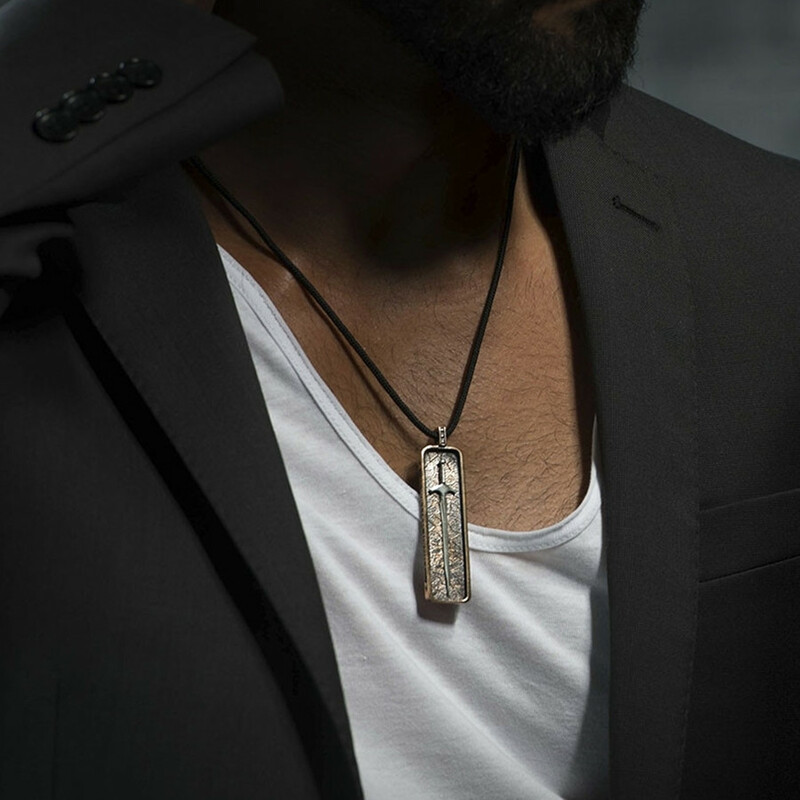 You can feel perfectly comfortable wearing this pendant necklace every day. 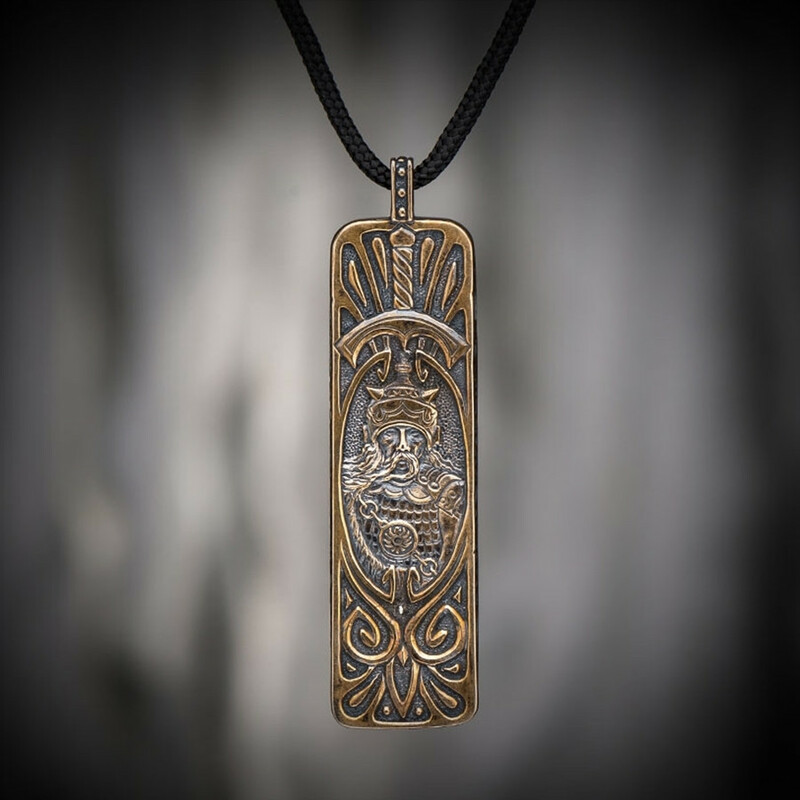 2" x .50" x .125"